Dad Clarke never married. He had no children. But, baseball fans called him Dad, reporters called him Dad, everyone called him Dad, although his given name, which was given in 1865, was William. He is the only childless “Dad” I know. I wonder if that seemed peculiar to him? To be a Dad in name only? There are a lot of dads in baseball. The lower-case, fathers-with-children kind. Some ballplayers today have kids like other people have Tupperware. Just lots of kids. Preternaturally fertile, these players. There are only a handful of ballplayers who, over the years, were known primarily as “Dad.” Not as a sometime nickname, but as the name that overrode the name they were given. The list of six – culled from Baseball Reference – is sort of strange. Six players, none of whom played after 1902. All were called Dad at a time when most dads were still called papa. Dads and daddys were new to the father-name game, which makes a Dad rather strange. Popularity of Dad vs Papa, 1800-2000, via Google. Dad Clarke played the longest of the six and, indeed, reporters typically called him Dad. But, the Dad thing doesn’t stick as well on the other five. Let’s tidy things up. “‘Dad’ Clarke of New York is 29 years of age. He looks like a man of 40,” The Wichita Daily Eagle reported in 1895. Life expectancy in the 1890s was only in the 40s, and apparently Dad looked to be about at the end of his. I dunno. He doesn’t look that old to me. And, in 1890, the Minneapolis Star-Tribune called him “the only and original Dad,” which makes me wonder, were there other Dads pretending to be that Dad? Clarke wasn’t called Dad because of his kind and fatherly ways, that’s certain. He was known for his trash talk, particularly while pitching. 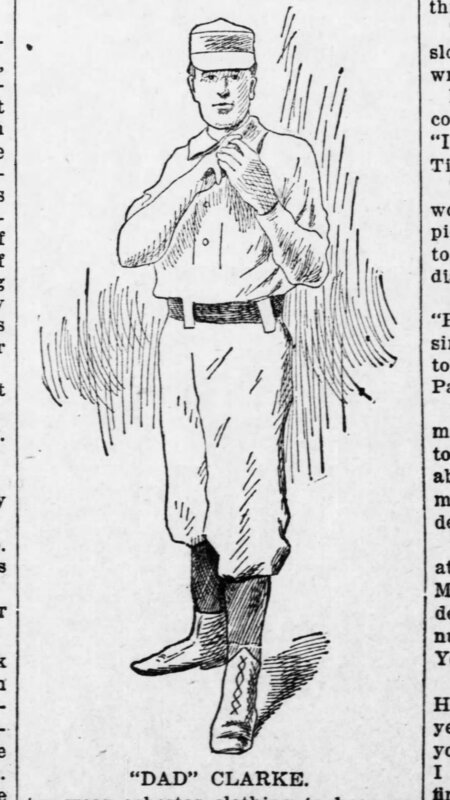 “If I had nobody but stiffs like you to pitch to, I’d never lose a game,” he hollered to one batter, according to a wire service story in August 1895. Two swings later, the batter grounded out. “Didn’t I tell you?” Clarke yelled. He gambled. He drank. Sure, they all did back then, but he did more than most. But, he also won 35 games for the New York Giants over the 1895 and ’96 seasons. He died of a stroke in 1911. He was 46. 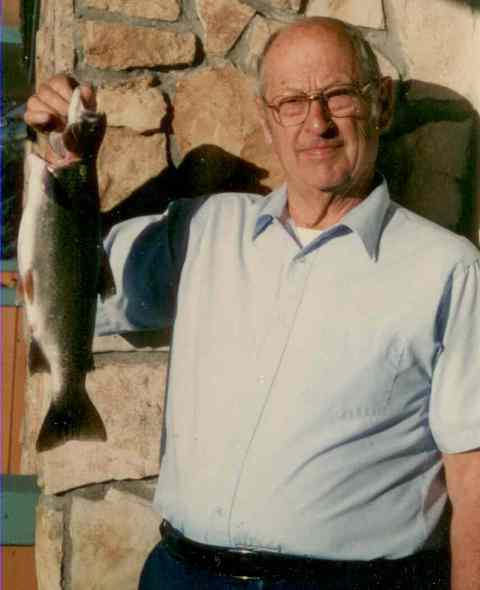 His obituaries called him Dad. 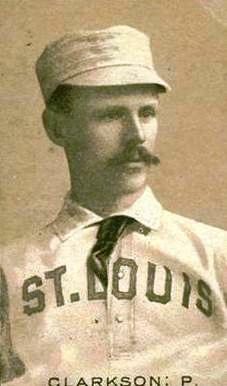 Frank “Dad” Meek played two seasons with the St. Louis Browns (1889-1890) and was always called Frank. 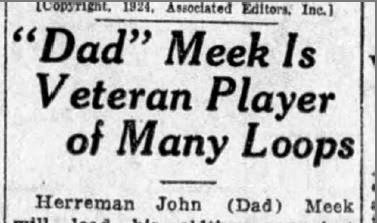 There is a Dad Meek, who played around the same time in California and in other minor leagues. But, he is not Frank Meek. Dad Meek, the minor league one, is beloved in California and nearly always referred to, in quotes, as “Dad.” Frank is not. But, I can see how the two might have gotten confused. 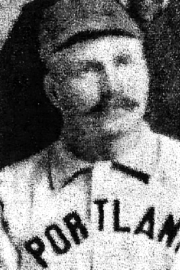 Edward “Dad” Lytle played just one season (1890) in Chicago and Pittsburgh, and is notable mainly for being the first major leaguer to hail from Racine, Wisconsin. Not much was written about Lytle and his one season of big league ball. But, “Dad” Lytle is mentioned from time to time, along with teammate Spitless Willie, a few seasons later when Dad played minor league ball in California. So, “Dad” he was. 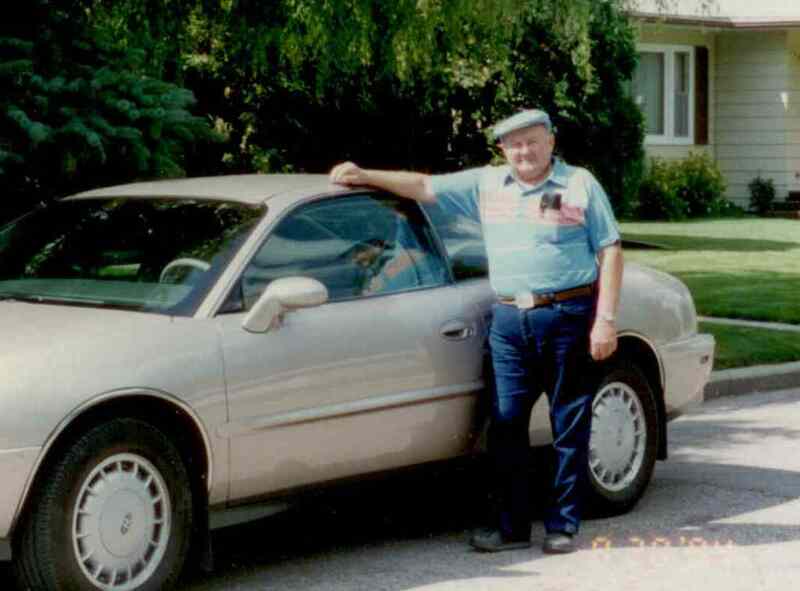 Should your dad happen to live in Dad Lytle’s hometown of Racine, I encourage you to treat him today to a Kringle from the O&H Danish Bakery, followed by Racine’s annual Father’s Day Putt Putt Golf Tournament and BBQ. Father’s Day Kringle — caramel, chocolate, and brownie bits. Yum! 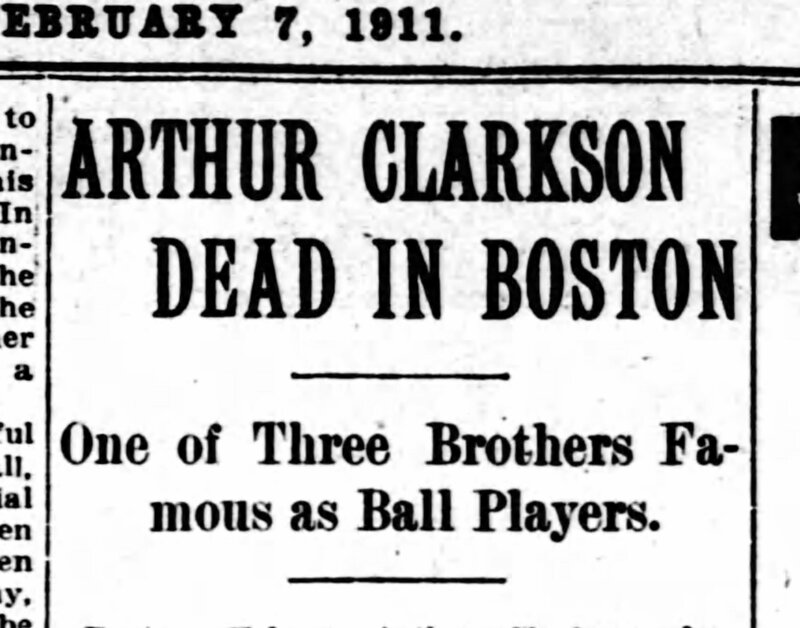 Arthur “Dad” Clarkson, a Harvard man, played five seasons – from 1891-1896 – wandering from New York to Boston to St. Louis and finally in 1895 and ’96, Baltimore. Those were Baltimore’s pennant-winning seasons, and Clarkson’s 20 games in ’95 were strong, but by ’96 other stronger Orioles pitchers had relegated Clarkson to the bench. 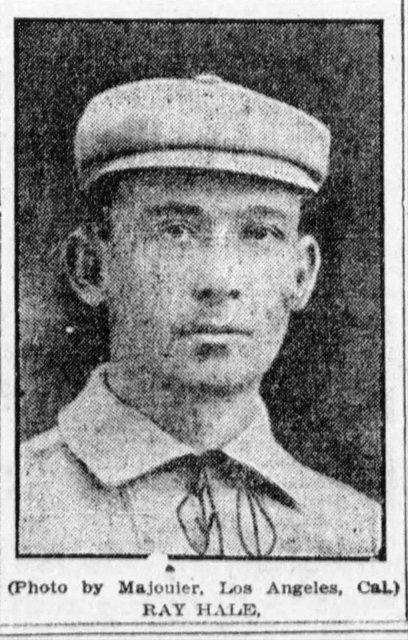 He is not called Dad, but is simply “Arthur Clarkson of the championship Orioles,” when in January 1896 he is reported missing and presumed drowned after he and two friends go out on an iceboat on Saginaw Bay and don’t return. “It is feared by their friends that they have gone through the ice” is reported widely across the country. Reported far less widely is the discovery a few days later that Clarkson and friends have been found safe and sound on the other side of the Bay. He was released by the Orioles in August 1896 and Clarkson complained that his release was timed so that he would have no share in the championship money the team earned that fall. His older brother John, also a pitcher, won 30+ games six times and is in the Baseball Hall of Fame. Younger brother Walter also pitched in the big leagues. 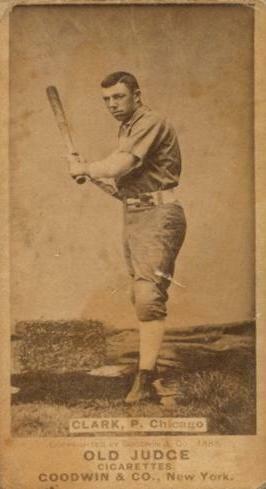 Alfred “Dad” Clark played just 12 games in 1902 for the Chicago Orphans. Was he really called Dad? No clue. 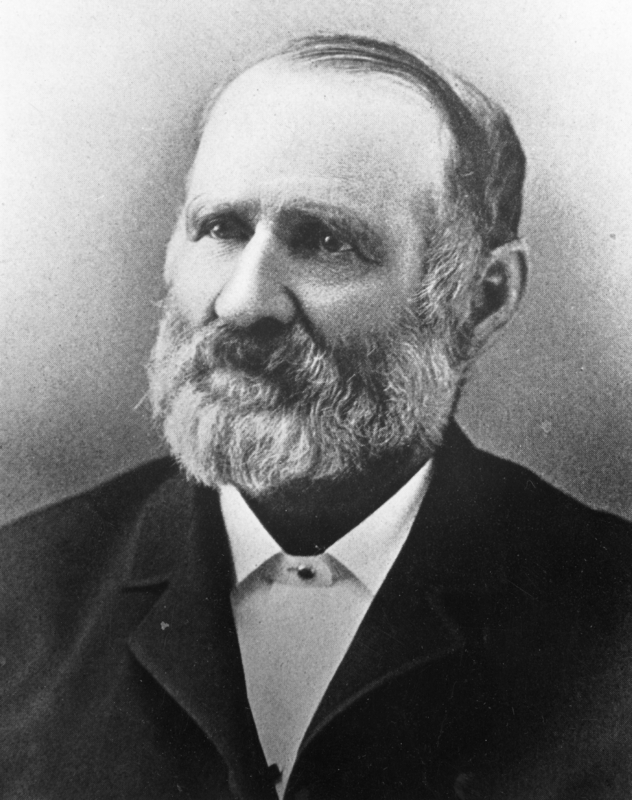 But, Rufus “Dad” Clark, the “Potato King of Colorado” was definitely known as Dad Clark and occasionally known as “Potato.” In 1859, he started farming on a 160-acre homestead at the location of today’s Highlands Ranch Golf Club, southwest of Denver. His potato crops were legendary. Dad Clark. Not A Ballplayer. Today’s Highlands Ranch, Colorado includes a Dad Clark hiking trail and Dad Clark park. Potatoes. Trail. Park. That Dad Clark left a legacy. He has nothing to do with Alfred Clark the first baseman of 1902. But, as my Dad would agree, you gotta go with what you know. “Dad” Hale is called Ray Hale and, sometimes, Roy Hale, often by the same newspaper. So, you tell me. He pitched just one season – 1902 – appearing in eight games with the Boston Beaneaters and three with the Baltimore Orioles. I can’t find a place where anyone referred to him as Dad. (At just 11 games, I can’t find anyone referring to him much at all.) But, I did find a photo of the elusive Ray Roy. You’re welcome. So there you go. Six Dads, but just one, really. Dad Clarke really was called Dad. There’s a moral to all this, I guess. And, this is what I think it is. There are a lot of dads out there – all kinds of them. But, when it comes down to it, the only ones who matter today are the ones that you call Dad. My Father-in-Law. I called him Pops, which is just another way of saying Dad. This entry was posted in Baseball, Baseball History, Mom & Dad and tagged 19th Century Baseball, Dad Clarke, Dads, Fathers Day by Jackie, The Baseball Bloggess. Bookmark the permalink. Happy Father’s Day, Bloggess! Your fascinating tale threw me maybe not a curse, perhaps more of a slider. My preconception was askew, expecting something like baseball dads who had baseball dads (e.g. Boone, Francona, Ripken, etc. ). I also see a lot of sartorial similarities between my dad and yours. My dad also (by necessity) wore a variety of hats; his signature model was a Stetson, reflecting his brief time spent in Texas, which he wore in his traveling sales endeavors. He felt it, along with being 6’5”, created a memory for his customers. Wow, 6’5″ plus a Stetson … he must have been nearly 7 feet tall! My dad was mainly a ball cap guy — he had a neatly organized long shelf in his shop that was just cap after cap after cap. He was a farmer, so pretty much every John Deere cap created between 1970 and 1990 was on that shelf. The sporty chapeau in the photo was definitely his fancy cap! As always, you’re such a treat to read. Great job digging to get that photo of Roy/Ray! I quite like his mug. But I must say I’m partial to that Dad Clarke – mainly because he looks like my Grampa, but also because he sounds like a real pip. Thank you! Yup, that’s the perfect word … Dad Clarke was a pip all right. I didn’t have room to get in the story about how he about broke all his teammates in craps games that he set up. Soon after, he was seen wearing a $1,500 “sparkler” which I took to mean either a ring or a fancy watch. O+H Bakery! OK, I know kringle isn’t the main idea of your great post, but it’s about 20 miles from my home, so I’m feeling a geographical tie that exists only in my brain, sure, but it’s as close to you as I’ll get. Nice work, as always, dear Bloggess. I like writing about quirky regional foods almost as much as I like writing about quirky baseball players. 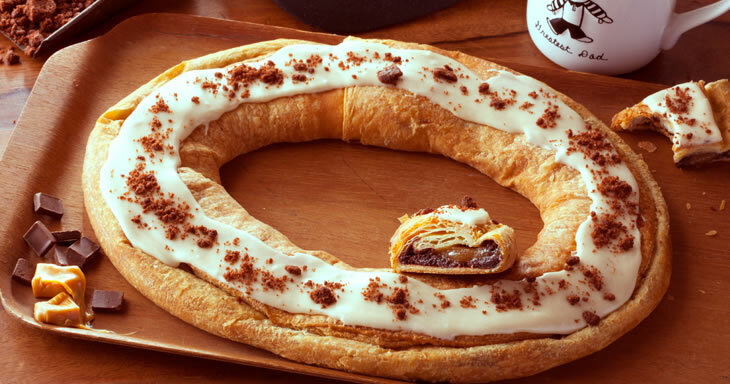 So the question is … have you had O+H kringle???? Have I had O+H kringle? Well, technically not in years, since I gave up bakery sweets. But I purchase it for my boys fairly routinely. Deeeelish!